It is recommended you set a Design Theme for the editor so that you can see what the component will look like at runtime. This is not strictly necessary for web pages and forms which automatically adopt theme details, but reusable parts adopt theme information only at runtime unless a design theme has been set. 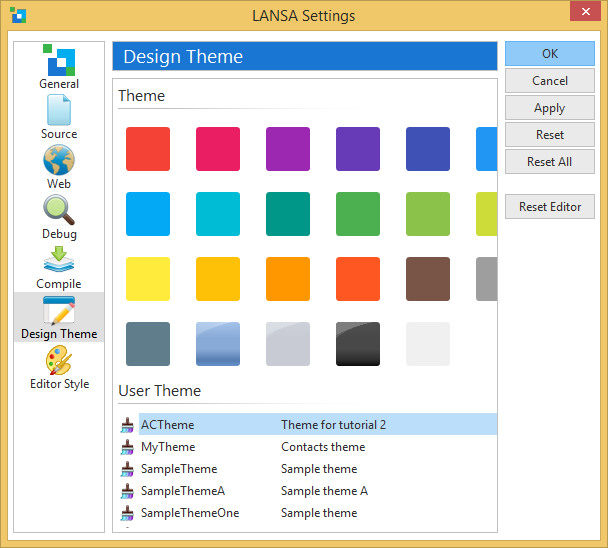 Choose a user theme and click OK.